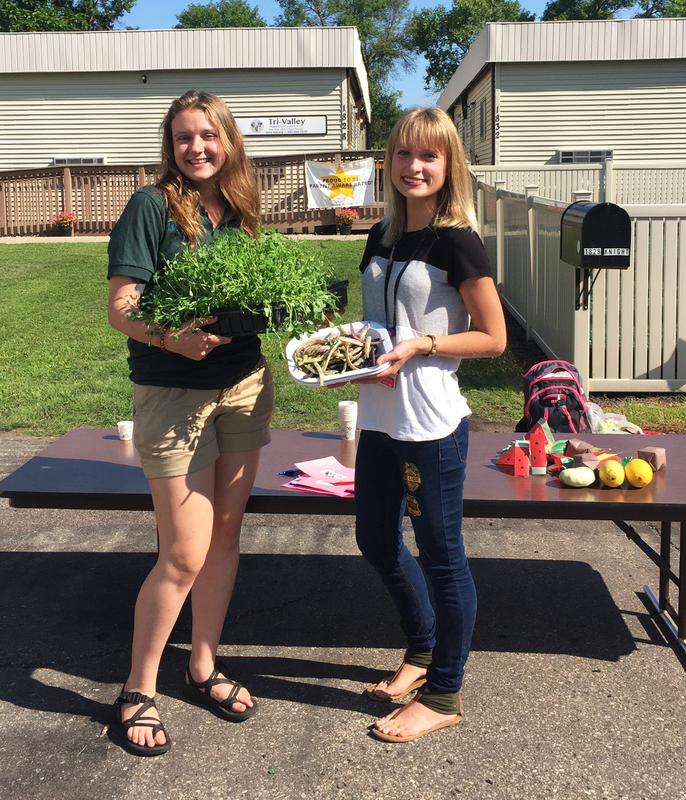 The Glencoe center held a mini Farmers Market for children on August 10 as part of the Farm to Early Care Initiative in celebration of National Farmer Market Week (August 5-11). Local produce was donated from the Farm of Minnesota located in Hutchinson, MN. 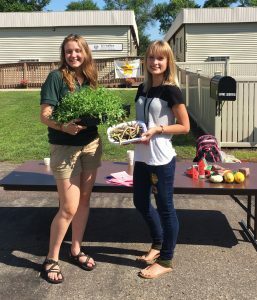 The Farm of Minnesota is one of the local farms that will be supplying some of TVOC’s Head Start Centers with fresh, organic, and locally grown produce. Members of Glencoe’s fire department and police department came out to volunteer as well. Tables were set up in the parking lot with samples of different fruits and vegetables. The children were able to walk around to each table and sample produce such as purple beans, peppers, squash, watermelon, raspberries, tomatoes and so much more. Jami Lee, Child Nutrition Manager, also read stories about vegetables to the children after they finished with the Farmers Market. All children were able to bring home a bag of corn on the cob and apples!